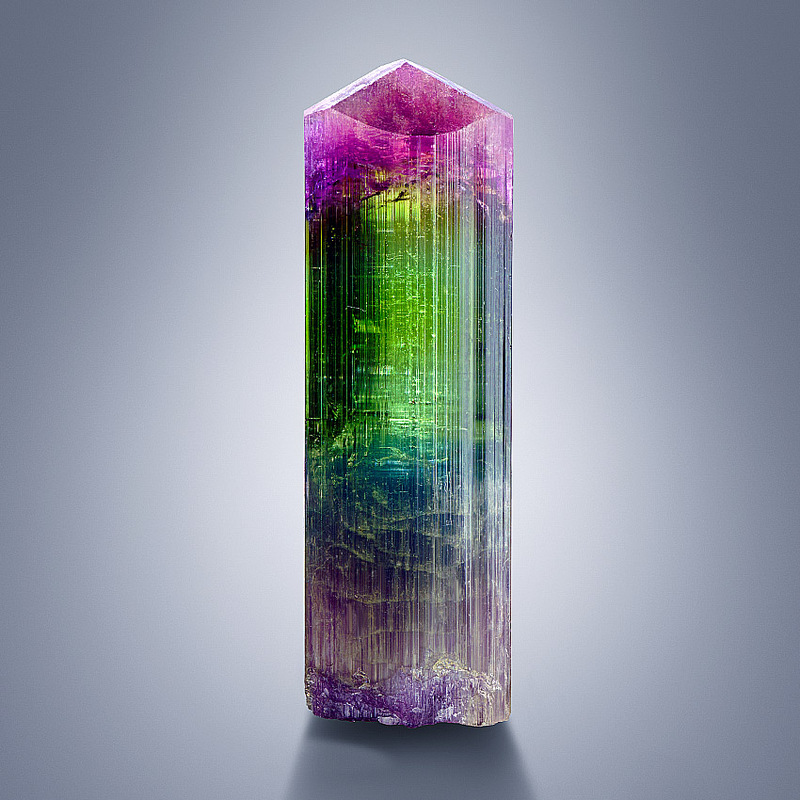 An amazing, sharp terminated, striated and fine colored Cruzeiro tourmaline with the following dimensions: 3.6 x 1.0 x 1.0 cm. The crystal faces are very sharp and highly lustrous all around. 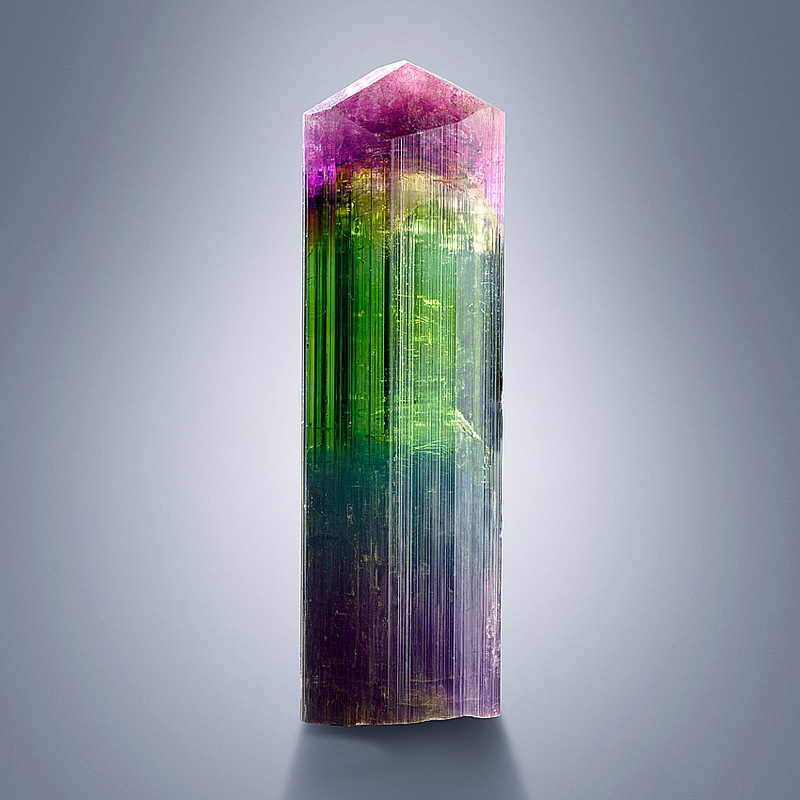 The base of the crystal shows a purple color, which fades into a blueish zone. It is followed by a yellowish-green zone with a high clarity and ends up in a pink to light cranberry red cap. That piece is a perfect miniature and comes from the famous "Lipstick-Pocket" in the Cruzeiro Mine, Sao Jose da Safira, Doce Valley, Minas Gerais, Brazil. This pocket was opened in the early 1990s. 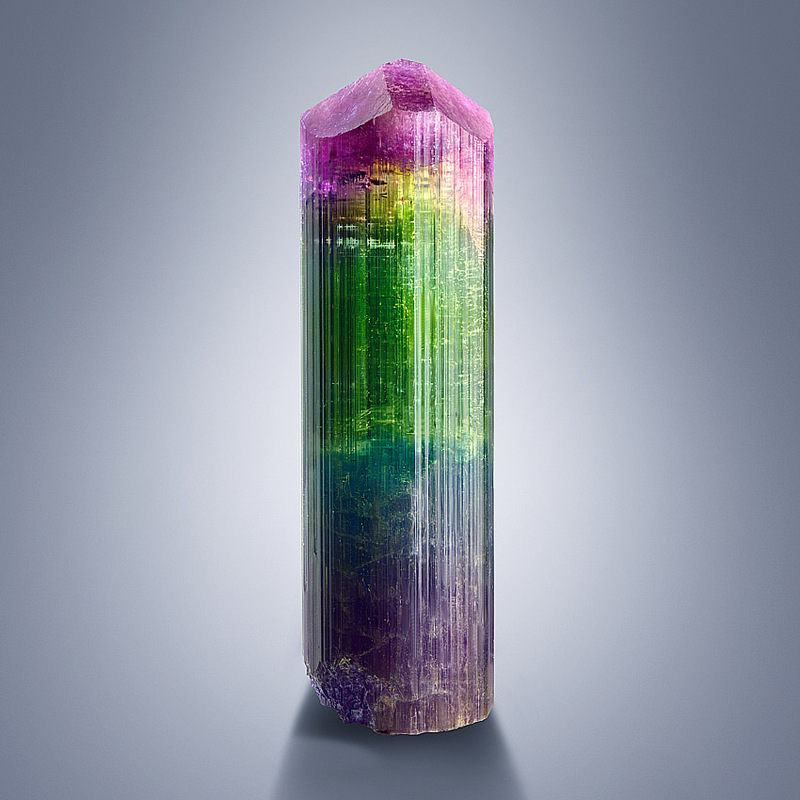 Very impressive tourmaline crystal with an unique coloration.